Honduran authorities have officially declared a state of emergency due to the massive outbreak of dengue fever this summer. There have been approximately 12,000 reported infections throughout the nation this year, almost triple the number of cases in the first eight months of 2012. [2, 3] Though only 19 have died as a result of contracting the infection, experts predict that the epidemic is likely to intensify during the rainy months ahead. 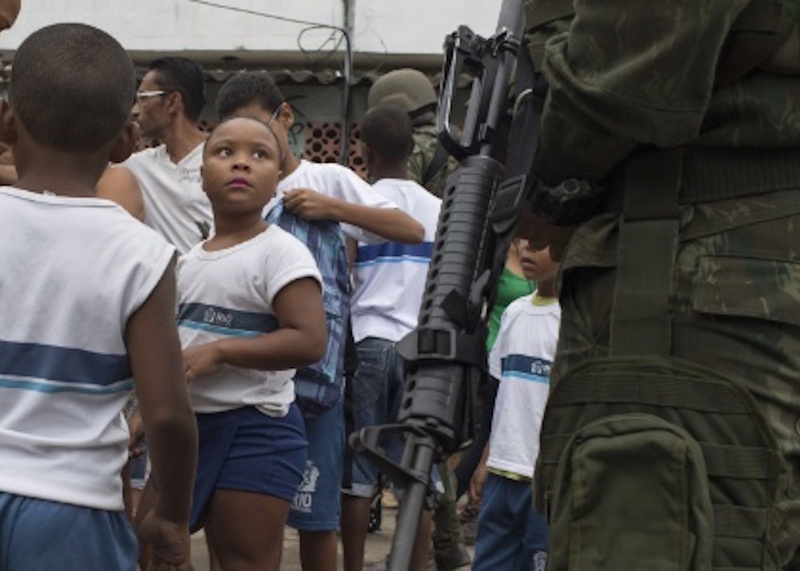 As the country continues to struggle following recent political instability and continued gang violence, the Honduran government currently does not have the capacity to combat the disease without international aid. At this time, it is crucial that the international community not only assist the Honduran government with treating dengue fever, but also with implementing measures that could halt the rapid transmission of this deadly epidemic that could potentially claim many more lives by the end of the year. Dengue fever is transmitted by the Aedes aegypti mosquito, which thrives in low elevation, tropical, and sub-tropical climates, making Central America a hotbed for dengue transmission. The mosquito also tends to gravitate toward areas with a thick population density and an abundance of standing water, such as the Honduran capital Tegucigalpa and its surrounding areas. Dengue tends to spread more rapidly during the annual rainy season, which lasts from June until November. For unknown reasons, massive outbreaks tend to occur every three to five years. The last massive outbreak in 2010 resulted in 83 deaths and thousands of infections. The current outbreak of dengue fever continues to puzzle many global health experts even though an outbreak was expected in 2013. The unusually dry weather in Honduras throughout the months prior to the outbreak would normally indicate that a massive epidemic of dengue fever would be unlikely. Dengue fever has a higher probability of being contracted during the rainy seasons of the year, and therefore the disease should not have spread as quickly after the relatively dry weather in the months prior to the outbreak. This has left government officials unprepared for an outbreak of massive proportions. Nevertheless, the outbreak has, in fact, ensued, and officials know they must take action to diminish the people’s suffering. Dengue fever victims generally exhibit flu-like symptoms including high body temperature, headache, nausea, dizziness, weakness, dehydration, and sometimes a full-body skin rash. Those afflicted with the fever are normally transported to the nearest health clinic where they can be diagnosed and receive treatment. Because there is currently no vaccine or cure available for dengue, the patient’s only option is to simply wait the disease out with rest and rehydration in order to prevent a relapse. Victims can often be sidelined from weeks to months due to the intensity of the disease. In more frightening cases, dengue fever can develop into the far more serious and possibly fatal hemorrhagic fever, which can result in internal bleeding, shock, immense pain, severely low blood pressure, and possible circulatory failure. Mortality rates for hemorrhagic dengue fever are currently at around 25 percent. Upon declaring a state of emergency, Honduras Health Minister Salvador Pineda has stated that control and eradication of the Aedes aegypti mosquito will be a governmental priority in upcoming months. Several health-oriented NGOs, such as Doctors Without Borders, intend to provide emergency shipments of products that can remediate the spread of dengue, such as antibiotics, mosquito repellant spray, and mosquito nets. Furthermore, several pharmaceutical companies have donated medications to aid the efforts of the Honduran government. Though the distribution of pharmaceuticals and other items has produced some success in preventing the contraction of dengue fever, NGOs and domestic agencies need to dedicate more resources toward educating the populace on measures that can be taken to prevent the continuing spread of the fever. In addition, there must be an effort by international and domestic agencies, as well as locals to prevent the reproduction of the Aedes aegypti mosquito on a long-term basis to inhibit the rampant transmission of the disease in the future. NGOs and the Honduran government should educate locals on practices geared towards eradicating the mosquitos that transmit dengue, a process known as vector control. The Aedes aegypti usually breeds in standing, stagnant water, making items such as water troughs and containers particularly appealing habitats. Standing water is an issue, particularly in the areas surrounding Tegucigalpa, because residents only receive supplies of water every few weeks. The water supplies are then stored in tanks that provide a tempting breeding ground for the mosquitoes. Furthermore, trash buildup in small villages also attracts mosquitoes. Hence, it is critically important for international actors and the Honduran government to educate Hondurans on water and waste management practices that could be the key to reducing the population of the mosquito. Besides educating the populace, which is the most important factor in eliminating dengue fever, the government and NGOs should implement some of the practices that have been applied in the past in an effort to rid the region of dengue. For example, initiatives involving the use of chemical procedures designed to eradicate the local Aedes aegypti population were carried out during the last major outbreak of dengue in 2010. NGOs and the Honduran government used a chemical that prevents mosquito larvae from hatching in a process known as “abate.” Another more common practice was the fumigation of households to end the mosquitos’ cyclical reproduction patterns. Along with educating the populace about prevention measures, NGOs and Honduran governmental agencies should implement these practices in rural villages in an effort to rid the residents of their suffering. 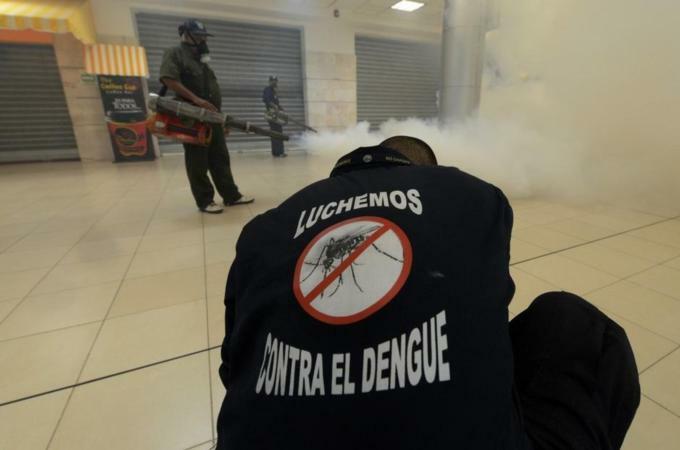 The massive outbreak of dengue is not an isolated incident in Honduras. Other Central American nations have been stricken by the dengue fever epidemic. According to a report, there have been approximately 120,000 cases of dengue fever throughout Central America this year. Like Honduras, El Salvador has declared the dengue epidemic a national health emergency. Furthermore, Nicaragua has had 2,000 cases thus far. Dengue fever continues to wreck havoc throughout the entire Central American region. The obstacle to educating the population about prevention practices and fumigation methods is winning the trust of local residents in neighboring rural villages. Many villagers in Honduras regard both governmental organizations and international organizations with distrust and caution. Greater efforts should be taken to interact with locals on a personal level to assure the population that team members are there to aid those stricken with dengue fever. Without a doubt, the application of prevention methods would be much easier to carry out if the population cooperates with those tasked with implementing the measures to prevent the spread of dengue fever. The World Health Organization has taken steps in Costa Rica to educate the populace about dengue fever. One particularly creative initiative that has been implemented is the distribution of the video game entitled “Pueblo Pitanga: Enemigos Silenciosos,” which teaches about the significance of eradicating breeding areas for the mosquito. It stresses that proper water management practices, such as removing any containers that are susceptible to standing water buildup, is instrumental in tackling the disease. Initiatives such as this could have much success in Honduras, as well as in other Central American nations. In the upcoming rainy season, the current dengue fever is likely to become even more critical. Honduras, among one of the poorest nations in the Western Hemisphere, is already plagued by poverty, corruption, and widespread violence. Furthermore, in an interview for the Honduran daily La Prensa, health expert Dr. Manuel Figueroa pessimistically declared that he believes that “the worst is yet to come” in the upcoming rainy season. 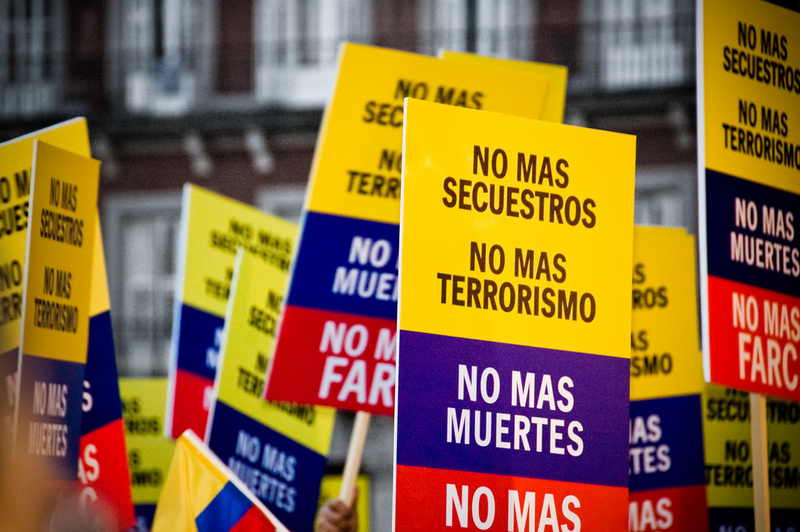 Honduras needs aid from the international community in order to lessen the suffering of its local population. Through educating the populace about measures that can be taken to prevent the disease from becoming even more wide spread, the nation could then be freed from this frightening epidemic that has inflicted a deadly blow to its population. Christie Mount, Research Associate at the Council on Hemispheric Affairs. Anthony Rivas, Dengue Fever Outbreak Kills 16, Causes State of Emergency in Honduras, http://www.medicaldaily.com/dengue-fever-outbreak-kills-16-causes-state-emergency-honduras-248226 (31 July 2013). Noe Leiva, “Dengue Outbreak has Killed 26 in Central America: Officials, http://medicalxpress.com/news/2013-07-dengue-outbreak-central-america.html, (25 July 2013). Emergency Response, “Responding to the Dengue Fever Outbreak in Honduras,” http://www.directrelief.org/2013/07/responding-dengue-fever-outbreak-honduras/, (23 July 2013). Katherine Corcoran, “Dengue Epidemic Looms for Central America,” http://www.huffingtonpost.com/2013/08/09/dengue-central-america_n_3733690.html, (9 August 2013). Dagoberto Rodriguez, “Es Una Oleada Severa De Dengue, Pero Aún Falta Lo Más Grave,” LaPrensa.hn, 23 July 2013, http://www.laprensa.hn/Secciones-Principales/Honduras/Apertura/Es-una-oleada-severa-de-dengue-pero-aun-falta-lo-mas-grave#.UhO6ehYtxUR, (accessed 20 August 2013). Thomas Fuller, “The War on Dengue Fever,” New York Times, 3 November 2008, http://www.nytimes.com/2008/11/04/health/04denguefever.html?_r=0, (accessed 15 August 2013). “Honduras: Tackling an Outbreak of Dengue Fever,” http://www.msf.org.uk/article/honduras-tackling-outbreak-dengue-fever, (17 September 2010). (“Honduras: Tackling an Outbreak of Dengue Fever,” 2010). “An Educational Video Game to End Dengue in Costa Rica,” Pan American Health Organization,” 26 July 2013, http://www.paho.org/ict4health/index.php?option=com_content&view=article&id=207%3Aun-videojuego-para-combatir-el-dengue&catid=14%3Aarticulos&Itemid=44&lang=en, (accessed 20 August 2013). (“An Educational Video Game to End Dengue in Costa Rica,” 2013).